Aloha Protea and tropical arrangement HawaiianMagic.net Tropical Flowers. 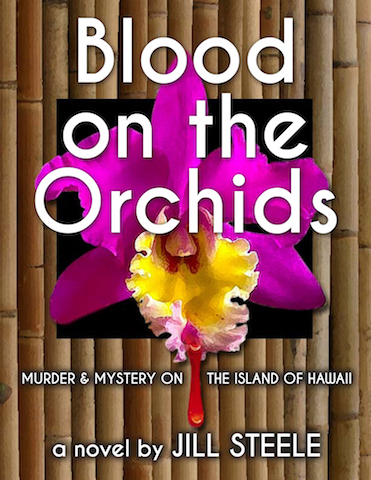 Murder and Mystery on the Island of Hawaii. Read and experience the rural Big Island local style while learning about orchids and orchid growing. It's a great accompaniment to your tropical gift. Hawaiian Tropical flowers can now be enjoyed anywhere! Available for any season, tropical flowers make unique gifts for graduations, holidays, anniversaries, parties, and business clients. For questions about shipping, see our ORDERING PAGE. 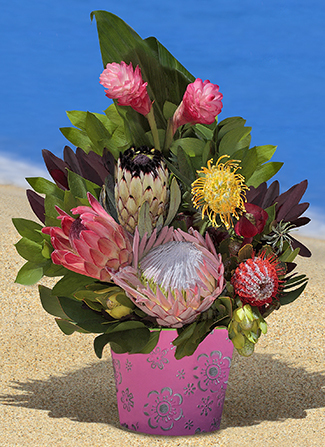 Send your "Aloha" with this beautiful long stem Protea and Tropical arrangement. 5 Proteas, 2 Tropicals and foliage.